It is like the doors of heaven are open and sprinkling down more and more love for my little blog. (Okay, so it's not a lot more, but it is more . . . . .even double!) I have received yet another award for this little spot on the internet and I received it from my friend Wendi at Because Wendi Said So. Thank you! 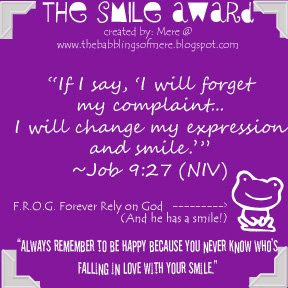 (Did I even qualify to receive the Smile Award?) Regardless, I think I can come up with 5 great bloggers who do qualify for this award! These fabulous bloggers definitely deserve a SMILE Award! 1. Marivic @ Grumpy Angel. And finally, as a true symbol of appreciation I want to give this "very-limited, no-rules, just-because-I-can" award back to Wendi. Enjoy!! Here at the house we are in discovery and debate mode as we try to name our boat. Jeff & I are not necessarily at odds about a name, but we definitely haven't come to a joint conclusion. It kind of gives me flashbacks to naming our children. Poor Josh didn't have a name for a week. Jeff even created a spreadsheet with all possible name combinations for us to consider. In an effort to avoid the long spreadsheet method of naming something I thought I'd throw out some ideas and have you all vote. Keep in mind that our vote can single-handedly over rule the majority vote. This is NOT a democracy . . . So . . Have you got an opinion on the name of our boat? Vote on the side - or if you have another suggestion, leave me a comment. Something's been nagging me for over a week and today I think I may have reconciled myself to it. Last week while I sat in my last LO class, all alone, with just the instructor, forced to sit on the front row (imagine my supreme JOY!) I was referenced as having a Vanilla Life. The instructor placed heavy emphasis on the necessity of me disclosing ANY previous issues I've had with the law. Have I murdered anyone? Have I been drug trafficking? Am I a notorious embezzler? Have I ever had a speeding ticket? I kept reassuring him that there was nothing in my past that would hold up me getting this license. Finally, he gave up the interrogation and said that I must have a "Vanilla Life". I pouted. All of a sudden I wanted to run out and commit a crime -- maybe even go 10 miles over the speed limit on the way home!! I was kinda hurt by his comment about my life. I have stewed and stewed over it for a week -- surely I am more interesting than Vanilla! 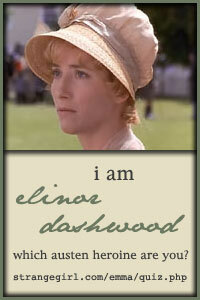 "Is childbirth narrow, Grace? Or marriage? Or death? When you've experienced all those things, Grace, the spirit has traveled although the body has been confined. I think travel is a rare privilege and I'm glad you can have it. But not everyone who stays at home is narrow and not everyone who travels is broad. I think if you can understand humanity . . can sympathize with every creature . . can put yourself into the personality of every one . . you're not narrow . you're broad"
I agree, I'm not very exciting. I'm not well travelled. I haven't even given birth as the quote references. But I have had my share of dealing with humanity, of choosing to show compassion when it's been the hardest. I find great personal joy and satisfaction in getting to know others and see things from their point of view. I have found myself in more "unusual" and difficult circumstances than I care to recount. 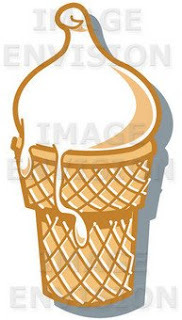 I may never be Tutti-Frutti or Rainbow Sherbet ~ but I am more than Just Vanilla!! Yes! I made it through the inaugural trip in our new (new-to-us) boat. The new boat sounded all wrong compared to our old one, I was convinced we would sink, I nearly side-swiped another trailer when parking our new one, I had white-hot knuckles clenched around Emma's life jacket -- but we came away SAFE! Okay, so they're all photos of our swim suits, but I was busy trying to focus on concrete, solid items that were dear to me! Anyone want to take a stab at whose swimsuit is whose? No, no . . .not PMS like you think. Here at our house PMS is short for "Paranoid Mommy Syndrome". It's common knowledge that I freak out about . . . everything. I'm constantly worried about the safety of my family. And lately it's gotten worse. And that's barely the tip of the iceberg it seems! I can't see the forest for the trees this morning - and to top it all off Jeff wants to take the boat out tomorrow . . . . to Jordanelle . . . where someone drowned last weekend! 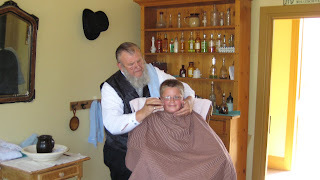 Here's a flashback to my morning, which we spent at "This Is The Place Heritage Park." It seemed an appropriate place to go considering today is Pioneer Day. 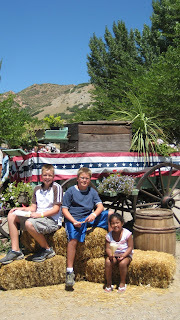 (Here in Utah we celebrate the day that the first pioneers came into the valley). The kids are punching leather in the photo above. 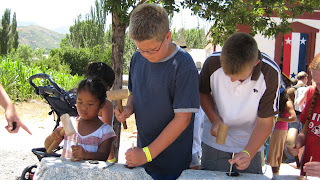 They are doing it on some incredible granite slabs. 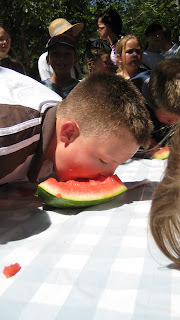 They all participated in a watermelon eating contest -- but here's a photo of Josh going at it. All in all -- it was hot, crowded, and fun. We didn't stay for the parade where you dress up in hot pioneer clothes and pull handcarts down mainstreet. I'll leave that kind of thing to the youth in our stake who are currently pulling carts for 5 days over the same path the original pioneers did. It's My First . . . . . AWARD! Anyway, Jeanette is adorable for stalking my blog and for hosting her own great blog where she celebrates LDS values. Thank You! As for the passing on of this award -- I have selected a few local friends whose blogs I love to visit. 1. Kim @ The Shaw's RollerCoaster Life. Kim and I met in a very unusual way, but may as well be sisters at this point. 3. Peggy @ Peg-A-Leg. Peggy is amazing and I really appreciate her latest post about Tiger's Blood slushies -- YUM! 4. Kellie @ The Mellot Page. You just have to check out Kellie's garden pictures -- they are amazing, plus she is going to machine quilt my hideous quilt top sometime soon. I'm so excited to get this project done. 5. Tammy @ Merryweathermama. This is more of a test to make sure she's still talking to me after the whole temple trip thing and the Disneyland gift -- This could be awkward . . . . Just kidding, Tammy is awesome and has some amazing photos on her website too. All of these ladies are neighbors and great friends who deserve much more than this award . . .but it's all I've got at the moment. Congrats and Thanks again to Jeanette! It's official! Today I passed my last big test and I'm an official LO (that's a Loan Officer, people). I have proven myself worthy to use phrases like, "In Lieu of". I have proven that I can incorporate fairly lame acronyms into my vocabulary. I have proven that you can pass a test even if most of the questions have spelling errors on them (HUGE pet peeve!). So. . . The Welcome Sign is out -- who would like to sign up for a mortgage loan? 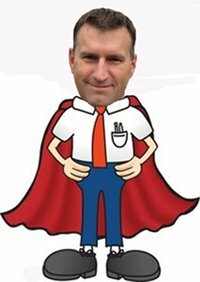 "There's a problem in the mortgage loan industry? No one qualifies for a loan? The housing market is in trouble?" "Then why the @%(&! did I spend my time and money becoming a Loan Officer?" Oh, that's right . . . . cuz I want you all to start calling me Officer Wendy! I'm agonizing over the necessary writing of a bio for myself. I have thought of a lot of torturous events that would be better than actually writing a few qualifying paragraphs about myself. I could never be in marketing, and definitely not in marketing myself. I am dedicated to success: I have 5 GOLD stars (meaning 100%) on 4 songs from Guitar Hero III -- on the medium setting! Woohoo! I can play a fairly decent "Hit Me With Your Best Shot", "My Name is Jonas", " Miss Murder" and "Story of My Life". I am money conscious: I find complete joy in purchasing a box of Kraft Pasta Salad; normally priced $1.99 for $.29. I love the challenge of finding a good deal! I am realistic: I can tell you politely and with a (huge) smile on my face when your idea to have all the kids in the city hand whittle & carve a wooden shoe is a BAD idea! In the end, I'm going to end up with a bio that will bore some poor soul to death. Wonder if they'd like me to reference my blog on the bio just so they can see the "real" me? And thus the California log was ended . . . . . Sorry, but the decompression of California continues. Today I want to share a few of my favorites from my trip. You might find a favorite in here too! 1st. My favorite place to eat in California is Olvera Street. You can head downtown to LA and enjoy the best taquitos and avocado sauce! Just make sure you hit the corner vendor near the train station. Yum!! I would post a photo of my whole family (21 of us) eating these tasty "fire sticks" but it was serious business and no one took any photos. 2nd. This whole trip began with the annual McNees family reunion that is held on the Sunday closest to July 4th. It is always held at Hickory Park in Torrance. Neither of these facts qualify as my favorite . . .but the shirts that we all wore are my favorites. Whitney Daniels Designs in Salt Lake prints up these great shirts for only $7 each (extended sizes $8 each). You just get each person to draw their own face and WAH-LA! You have an awesome shirt. 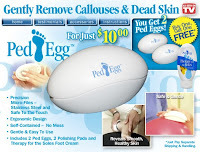 Works great for family reunions, girls camps and school classes. 4th. This last favorite from California is a gem! My sister-in-law, Syndi, recommended it. It's the incredible PedEgg! Who would've guessed it could work so well? I came home with better feet than I went with. Not only is it great for feet, but it gives you a little something to do in the car when you're driving around looking for a grocery store. The Disneyland / California trip continues to unfold for you. Today I want to share with you what we did at Disneyland. Yes, we went on rides, saw many characters, saw a few shows . . . .but the really unique thing that we did was look for hidden Mickey's. Yup, go figure. 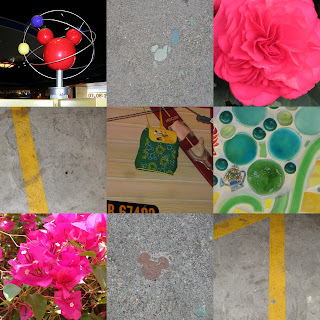 With all the stuff you try to cram into a trip to Disneyland we decided to look for Mickey's. And it ended up being a pretty cool thing to do. Not only did it give us something to do other than waiting in lines - it was a "challenge" thing with scores attached to each Mickey. Yay! A competition!! I've unpacked the souveniers! And it's time for a little gift giving . . . . Thank you for filling in for me while I was gone. In appreciation I give you this mighty expensive PIRATE PRINCESS BAG! There is not another "Matey" that I'd rather "Swab the Decks" with! Yo Ho Ho and a bottle of Diet Coke! Feel free to post this on your own blog, Shauna! Tifany, you are also given my new Great View Award!! (Ah. . . see how giving I really am?) Feel free to put it somewhere on your blog too -- but remember YOU DON'T HAVE TO. I don't want this to be a gift like the kind Grandma Marie gives where you only pull it out when she comes over. I am always on the lookout for earrings for you, and I know the last pair I got you were a little large. 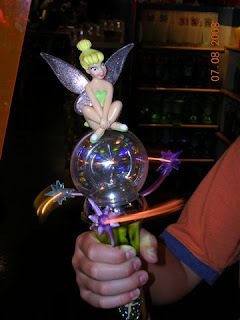 But these were so dang cute . . .they twirl around and light up! Okay, mostly this shirt is for me to wear when I'm with you. It's a good "excuse" shirt that will alleviate all my guilty feelings. Think of all the fun things we can do now! This little gift is to let you know how much I was thinking of EACH of you while I was on vacation! Please pick your favorite color and know how much I appreciate each of you! I am not typically a sentimental person. I have a sentimental father and two sentimental brothers ~ there wasn't much of a need for me to pipe up with "let's stroll down memory lane" activity ideas. 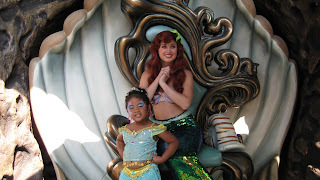 Watching your daughter experience *magic* for the first time: PRICELESS! We had a great time on this trip and I want to share more about it with you. But today is recovery day (aka laundry day). I do want to thank Shauna and Tifany for posting a guest blog for me while I was gone. I loved them! I will have a "gift" for each of you tomorrow, here on my blog as well as a few other souvenirs for friends and family. View From ...... Well.....Opposite of Heaven! Greetings Wendy's stalkers! I am coming to you live from the wonderful world of 116 degree heat, plenty of dirt, and as much brown scenery as one can handle. 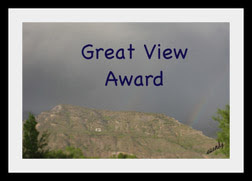 I figured it is only appropriate that I be a guest blogger since Wendy originates from the heavenly views of Pleasant Grove and I am residing in the complete opposite place of Buckeye, Arizona. However, you will not hear me complain in January. First and foremost, Wendy has some friggin' crazy in-laws. We are talking certifiable, a few fries short of a happy meal, destined for a rubber room, crazy!! No, seriously, nutso! I would use more descriptive language but I do not want to change the rating on Wendy's blog. Wendy has, hands down, got to be the most giving person I know. I am sure those reading this are completely aware of her kindness. When she was engaged to my brother (yes, I am one of the crazy in-laws), she volunteered to help me sand all the walls in my room to get them ready to paint. It was a lot of work and not at all fun. I could not believe she wanted to help me. I was 12 at the time and remember what an impact this act made on me. It seriously changed me forever and taught me the joy of service both in giving and receiving. I am certain she would do anything for anyone and I know she has done so much for me. I am sure more than she even realizes. Wendy is h-i-l-a-r-i-o-u-s!! So picture this, I was at the outlet shops in Park City where a group of us were gathering to do some early Christmas shopping. I was sitting in my car waiting for the rest to arrive, when I notice a van in the roundabout nearby. I realized it was Wendy and then quickly realized she was staying in the roundabout. She just kept going around and around. There were several other cars waiting to enter the roundabout but could not figure what the lady in the "purple" mini-van was doing. The look on their faces was priceless. I watched her go around that thing a good 10 times and was laughing so hard I am pretty sure I wet myself. It was classic! I have never met anyone with as much talent as Wendy. Yup, it is official, that girl is packed to the gills with talent. When she was being made, someone dumped a whole bucket of talent in her. She is truly an amazing creature! She has a fantastic mom. I LOVE Wendy's mom, she is great! I can see how Wendy turned out so amazing, she has an amazing mom! Wendy is patient. I am sure no one considers themselves patient but I have witnessed Wendy's patience on several occasions and can attest to its truthfulness. She is patient! If anyone can teach a 17 year-old know-it-all kid how to toll paint and never once lose her cool, she is patient. She should have hit me over the head with a tire iron and put us all out of our misery but instead, she just kept inviting me back for more. I am seriously embarrassed at some of the things I considered cute and works of art but Wendy was so kind. She never once made me feel bad for the junk I was making. Thanks Wend! I personally believe our children reflect on who we are so that should tell you just how truly spectacular Wendy is just based on her kids. I don't get to see them nearly as much as I would like but they are such great kids. Plus they are so creative. Anyone who can turn a sports bra into three-legged underwear is destined for greatness. Did I mention how truly psychotic her in-law's are. Again, another testament to Wendy's true amazingness that she even maintains the same last name! Wendy has been in my life since I was Josh's age and I could not have had a better role model, example, and friend as I have had with Wendy. I am truly a better person just for having her in my life. Wendy....you rock! P.S. Sorry for any grammatical errors or misspellings....I am tired!! P.P.S. Sorry Wendy, I had to do it! Your just great! I'd like to thank the academy. Just being nominated is truly an honor. I can't tell you what this prestigious award means to me. Oh, wait, that is a speech for another occasion. I am honestly flattered that Wendy thought to ask me to "guest blog" for her while she is visiting the Happiest Place on Earth! This being the Fourth of July, something must be said about how much I love America. I don't say it often enough, but there is no where else I wold rather live! I have traveled abroad a bit and while I am regularly dazzled by the other places I visit, there is nothing to match the feeling of "coming home" to America. (Even when the point of entry is LAX.) You just feel something when you have been away and then return to the place you love as much as I love America. That said, I thought I would just share a few things that I love about America with all of you, Wendy's dear readers (whom she assured me would probably not read the blog all weekend). A--Advantages are ours here to achieve our dreams, yet these are determined by ourselves alone. There is only pressure from within to excel or fall aside. M--Many Patriots devoted to service to their country, from the early revolutionary soldiers to our friends neighbors and brothers-in-law that are serving today in Iraq and Afghanistan. E--Education was an important enough virtue in the colonial days that a "free public education" became an ideal we are still working toward. R--Riches, not only in the monetary connotation, are here for those who are willing to work hard and persevere. I--Independence from tyranny and despotism and freedom to govern ourselves, with the responsibility to match. C--Our Creator's Provident Blessings are laid upon this land to equal our obedience to Him. A--All have been welcomed, as the poem engraved at the Statue of Liberty: "...Give me your tired, your poor,Your huddled masses yearning to breathe free,The wretched refuse of your teeming shore. Send these, the homeless, tempest-tost to me,I lift my lamp beside the golden door!" 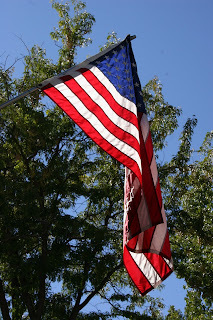 Have a marvelous Independence Day with friends and family and fellow Americans. We are blessed to live in such a beautiful, promised land. Thanks for letting me share few thoughts today! Happy 4th of July! And, Wendy--have a great time and safe trip home! 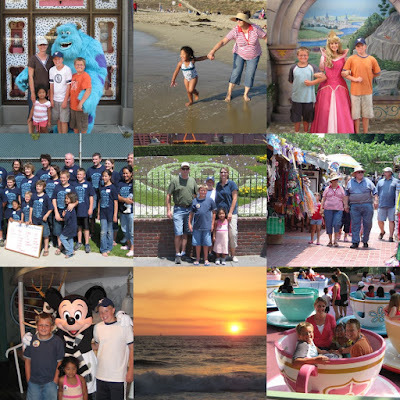 Today is a Foto Flashback to a few of the times I've been to Disneyland. This is in honor of the fact that we are leaving for Disneyland in 7 hours (I'm running one last load of laundry before nodding off for a bit). My first guest blogger is my good friend Shauna. Shauna has a new blog called Life on Celestial Circle. (Needless to say - I don't live on her street, but wish I did!) I met Shauna while doing PTA stuff, and she puts me to shame with how dedicated she is to our schools, to her kids and to the church. She is amazing! My second guest blogger is my sister-in-law Tifany. 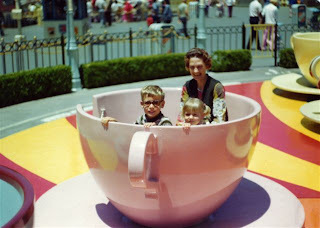 Tif also has a new blog called The Wright Place and The Wright Times. Tif is very funny, very talented and has adorable children! I can't wait to see what she posts . . . Happy blogging everyone! Borrowing from Because Wendi Said So! I have discovered that I may need to be a little more adventurous. I personally think we should add things like 201) Cleaned Under Your Fridge 202) Held A Child's Booger In Your Hand 203) Smashed a Spider With Your Bare Hand . . .
4. Changed a baby's diaper. 7. Swam with wild dolphins. 10. Said “I love you” and meant it. 36. Loved your job 90% of the time. 94. Killed and prepared an animal for eating.